To visit Mildura is to experience life as it was meant to be. It’s life simplified, yet adventurous and exciting at the same time. 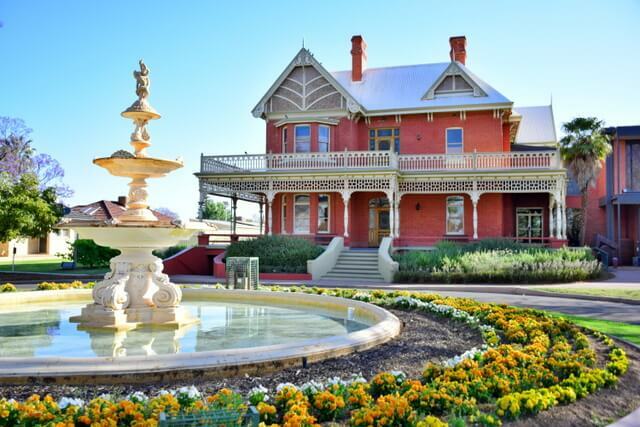 See why Mildura has become one of our favorite Australian escapes. Create your itinerary off the following things to do. 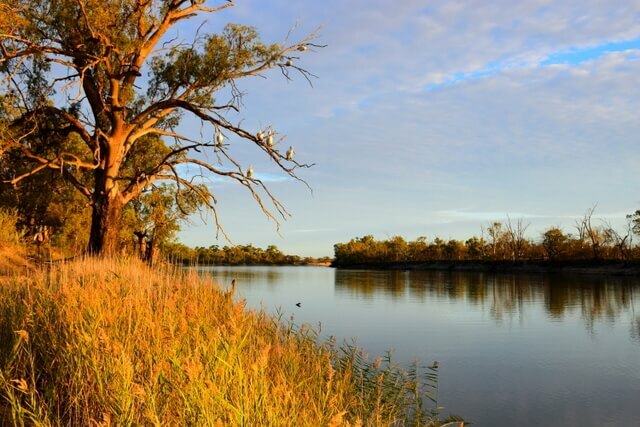 Located just a short drive from Mildura’s city centre, Kings Billabong offers the chance to see the Murray River’s truly wild side. 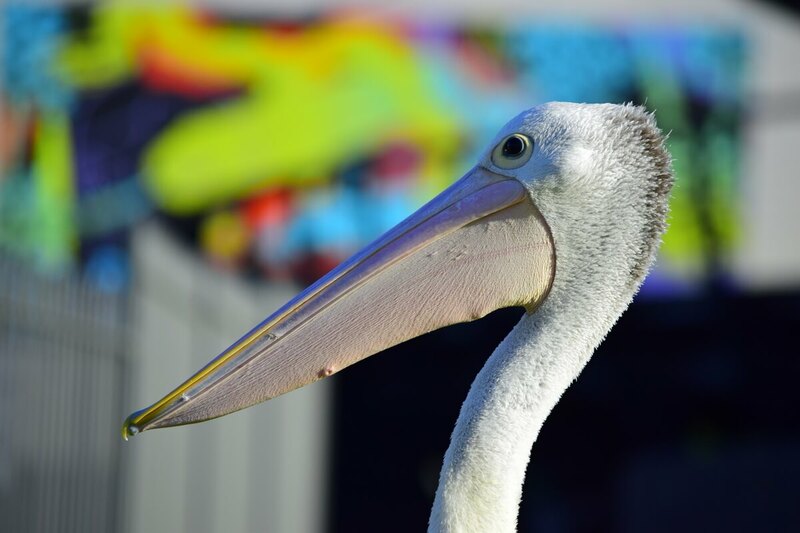 This 2,000 hectare wildlife reserve is home to a rich diversity of birds including wetland birds such as pelicans and spoonbills as well as aerial predators such as kites and harriers. Enjoy hiking trails, relaxing kayaking, fishing, and camping. 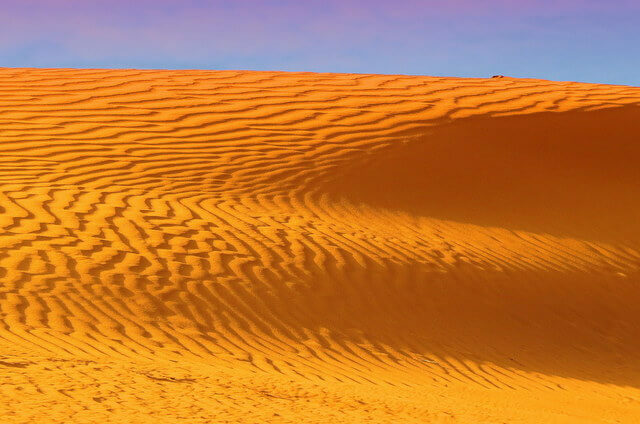 About 30 minutes west of Mildura, just outside of Wentworth, Perry Sandhills is a Sahara looking landscape where we half expected to see herds of camels or possibly a flying carpet. The area is magical. Run, slide, and roll down these continuously shifting sand dunes, which have entombed the remains of prehistoric animals such as marsupial lions and giant kangaroos. While no palaeontology discoveries were made during our visit, we did come across a few curious red kangaroos as we watched the sunset over the dunes. We also managed to play a game of lawn (or technically sand) bowls using the many paddy melons in the area. The softball sized relative of the watermelon is said to be unfortunately nowhere near as delicious, and I’m not sure if they are even technically edible to humans, so don’t sample any. Botany lovers will want to check out the southern hemisphere’s first semi-arid botanical gardens. 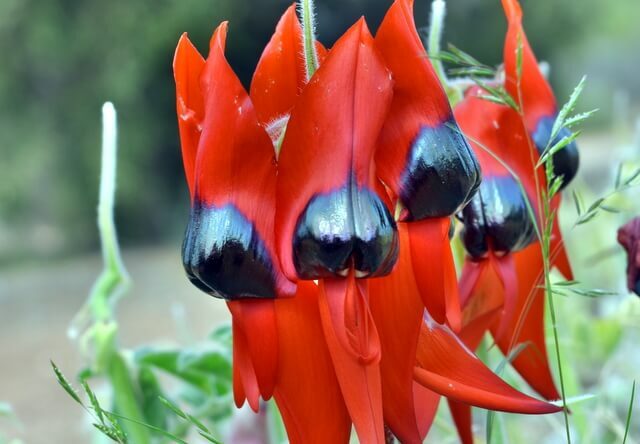 The Australian Inland Botanic Gardens offers the chance to see the beautiful distinctive blood red flowers of the Sturt’s Desert Pea. See other rare plants from around the world in addition to many of the region’s endemic birds. The 19th century Garnpang Homestead houses a lovely cafe and gift shop. Mildura is definitely not a city designed for staying indoors to binge watch your favourite Netflix series. Entertainment comes in the form of all kinds of adventurous and enjoyable outdoor recreation. There are a range of challenging and ultra-scenic golf courses available, including the Mildura Golf Resort, Coomealla Golf Club, Red Cliffs Golf Club, and Riverside Golf Club. No need to bring your clubs as hire equipment is available. Cricket is huge in Mildura come summer, with the Willowfest Australian Cricket Club Championships a notable annual event. Of course, the Murray River is the major focus of outdoor recreation, offering water skiing, kayaking, paddle-steamer cruises, stand up paddle-boarding and the option to navigate your own houseboat. They say Mildura is known as the “food bowl” of Australia, and it’s not hard to see why. Make your way to the river-end of Langtree Avenue, dubbed “Feast Street” by food lovers for its large mix of delicious cafes and restaurants where you can bite into some mouth-watering Murray cod or Mallee lamb. Go nuts for the locally grown almonds and pistachios and maybe purchase some unique Murray River pink salt flakes to create your own Masterchef masterpiece back at home. Back in Mildura, be sure to check out the Sunraysia Farmers Market held the 1st & 3rd Saturday of every month in Jaycee Park. 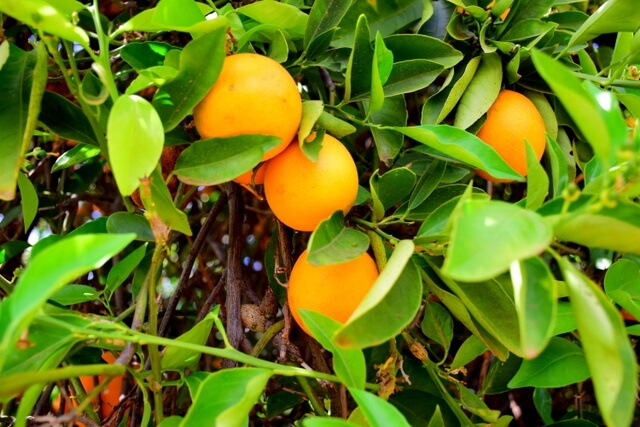 Visit Orange World to learn all you ever wanted to know about what goes into growing and harvesting oranges. They also grow avocados, making for an even more smashing good time. Be sure to sample some wine from the local Murray-Darling wine region, which produces some of Australia’s finest and most affordable reds. Visit a local cellar door or boutique wine bar for more thorough tastings. Not into wine, or maybe you plan on visiting during Dry July, the Mildura region also produces the majority of Australia’s refreshingly crisp and sweet table grapes as well. Beer lovers can down a local brew at one of Australia’s first microbreweries, Mildura Brewery, which was recently acquired by Broo Beers. Don’t let Google maps trick you into thinking this incredible National Park is 4+ hours out of Mildura. The actual drive time is only about 90 minutes, making this a must do day trip. The long stretch of unsealed road makes it seem like a true adventure but note it’s still suitable for two-wheel-drive vehicles unless the roads are closed due to wet weather. As for the park, expect an otherworldly experience where an ancient landscape comes alive. Explore the Walls of China with an Aboriginal ranger guide and see the place where the Mungo Man was discovered. Just recently, the remains of the 40,000 year old Mungo Man were returned to his ancestral home roughly 40 years after they were discovered. 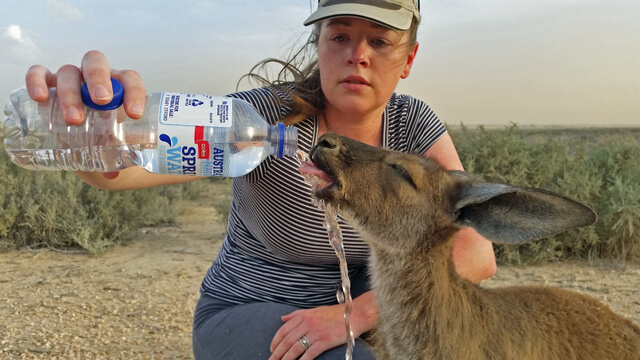 Drive the 70km Mungo Loop Track as you look for red and grey kangaroos, emus, Mallee ringnecks, Major Mitchell’s cockatoos, and echidnas. The park’s visitor centre offers a glimpse into the area’s prehistoric past with fossil and Aboriginal artefact exhibits. While the park is an easy day trip, I recommend you stay at least one night within the park as the night sky and silence is quite an experience. Nearly zero light pollution allows you to pick out any constellation you want. Find luxury in the outback with deluxe cabins at Mungo Lodge or opt for a truly unique experience by staying in the Shearer’s Quarters run by the national park. By staying in these authentic former shearers’ quarters, you can’t help feeling you’re a part of the park’s former life as a functioning sheep station. There are Shearer’s quarters at both Mungo Lodge, and a separate site run by the National Park, so keep that in mind when making your booking. The quarters run by the National Park offer a more casual atmosphere, with a communal kitchen/dining room, and open air central courtyard. They have also been recently refurbished, offering modern touches like in-room air conditioning. The quarters at Mungo Lodge are more basic, though still offer clean and comfortable guest rooms with access to a shared camp kitchen and bathroom block with showers. Another great day trip from Mildura is getting your boots covered in the red dirt of Hattah-Kulkyne National Park. Explore the trails through Mallee country or get out on one of the park’s lakes or rivers and maybe fish for Murray cod. 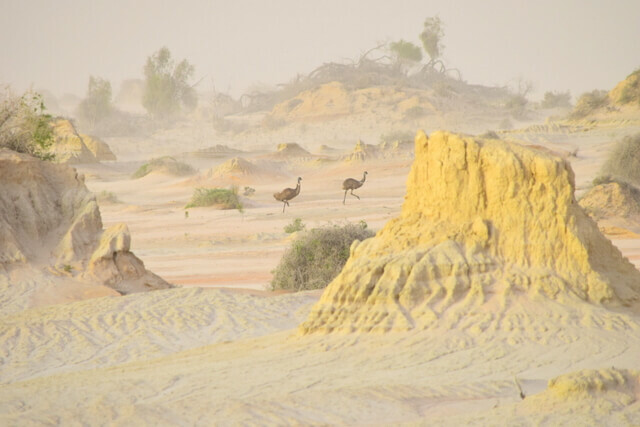 Birdwatchers flock to this slice of Victorian outback heaven to see the more than 200 species of birds that can be found in the area including the large ground dwelling malleefowl. Book a 4WD tour or simply navigate the 2WD tracks with your own self-drive itinerary. Start with the Hattah Nature Drive near Lake Hattah and then continue on to the Kulkyne Loop Drive if you have more time. There are camping facilities available for those wanting to stay overnight. 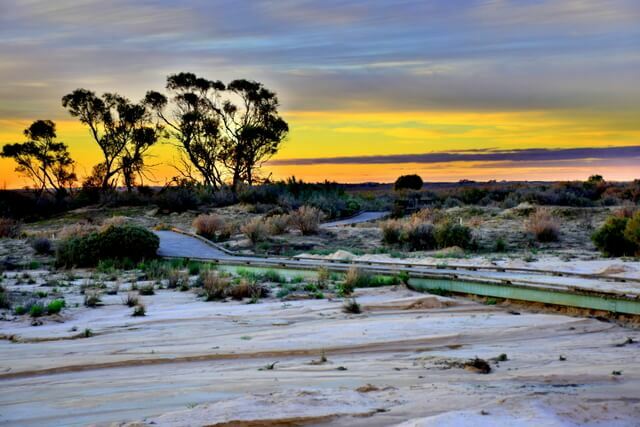 Victoria’s second largest national park is also a great spot to visit during your Mildura holiday. Murray Sunset National Park is famous for its pink lakes, but these aren’t the only colourful thing to see. Wild orchids and countless birds can be seen here as well. The lakes become pink during late summer, or after rain, and are best viewed under cloud cover when they provide more vibrant colour. Without ruining the magic too much with scientific jargon, the lakes acquire their pink hue from the algae that is present in the harsh saline environment of the lakes. The area was once a popular spot for commercial salt harvesting roughly 100 years ago and remnants from old operations can still be seen around the edges of the lakes. Lake Crosbie offers the main campground which doesn’t require a booking and simply operates on a first in, first-serve basis. Whether you’re looking for a fun filled weekend getaway or a multi-week long holiday, Mildura offers plenty of adventure and activities to keep you busy. We haven’t even touched on Mildura’s creative art scene, its museums, day spas, great shopping, and its long list of historical sites like those found along the Chaffey Trail. Trying to fit all Mildura has to offer in a single trip is futile, which means this Australian gem will have you coming back time and time again. 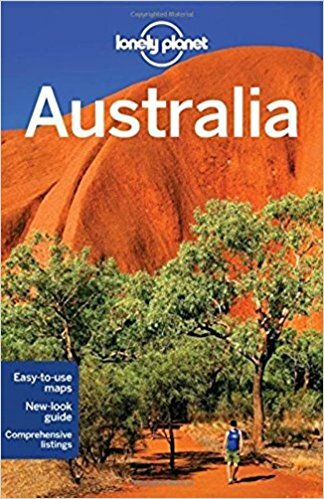 The city’s appeal seems to only be growing stronger with both domestic tourists and international visitors attracted to the region, looking for a more unique, traditional Australian experience. Now, tomorrow, this summer, next winter! Basically, anytime is a good time to visit Mildura since the region sees great weather all year round. Each season brings exciting events and festivals. Spring offers up the major river events including the Ted Hurley Memorial Ski Race and the State of Origin Wakeboard Championship along with the Goanna Hot Rod Run. 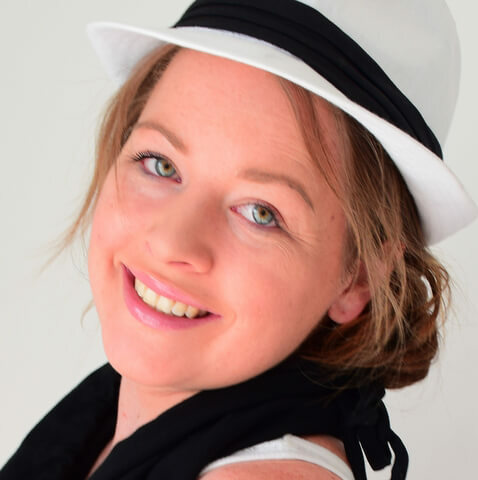 Come summer you have grand New Year’s and Australia Day celebrations along with the Mildura Summer Music Festival, one of Australia’s leading regional arts festivals. Some might say that autumn is when Mildura truly shows off with incredible weather supporting their Easter Power Sports – on and off the water, this combined event is a must see. 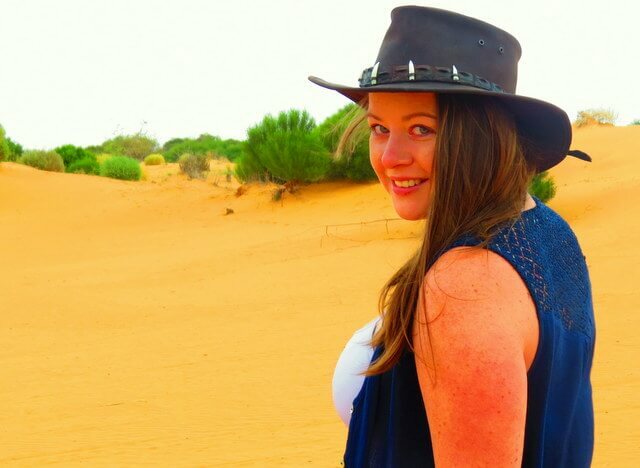 As winter ushers in cooler temps, things heat up with the popular Hattah Motorbike Desert Race, The Great Australian Vanilla Slice Triumph, Wentworth Show and Mildura Writers Festival. 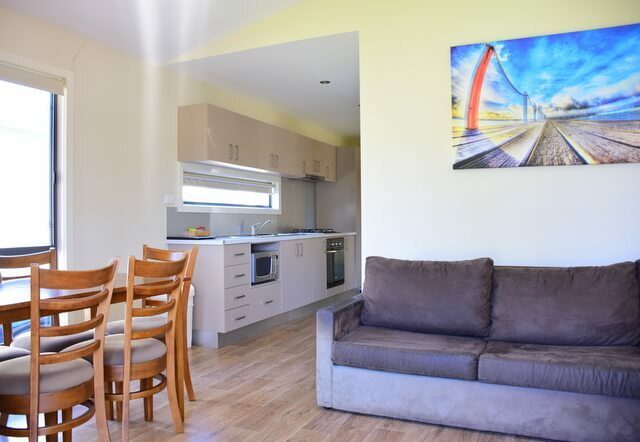 With a range of high end hotels, spacious apartments, comfortable cottages, and family friendly holiday parks, you are sure to find your home away from home in Mildura. We chose to stay at the BIG4 Golden River Holiday Park. You couldn’t ask for a better location, being just steps from the Murray River and far enough away from the centre of the city to enjoy the peace and quiet of the surrounding bushland. Our Executive Cabin was one of the nicest we have experienced from any holiday park to date. Clean, modern, and with all the conveniences such as kitchen facilities we have come to love when staying at a Big4. For more information jump over to visitmildura.com.au. For more inspiration, make sure you follow the official Visit Mildura social media accounts; their feeds are filled with stunning images of the nature, wildlife, and food scene! Click for: Facebook, Twitter, YouTube, and Instagram. And remember to tag #visitmildura while you’re there! 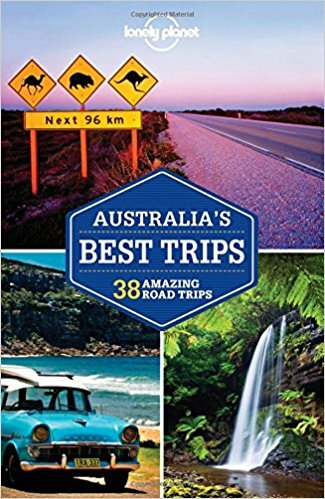 These are the best things to do in Mildura Victoria! 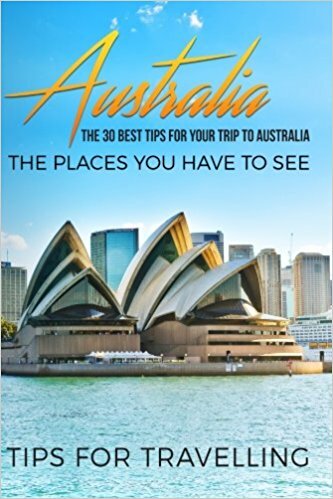 Click pin through to post for itinerary and fabulous photos. Great information! I actually really like the pictures, especially the one with two Kangaroos. Oh My God, they look so adorable. Thanks Emma! 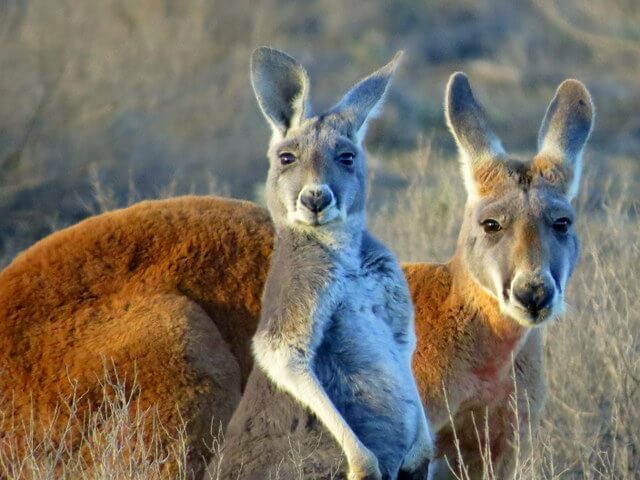 So glad you enjoyed the post – you’ll find a tonne of Kangaroos out in Mungo National Park; they’re such majestic creatures! Pelicans are fascinating-looking, right Meg? Rocking natural beauty there. Noted for future trips. I’ve been to Mungo. Not many people go there. We love it, we’ve been twice now and will absolutely head back again. 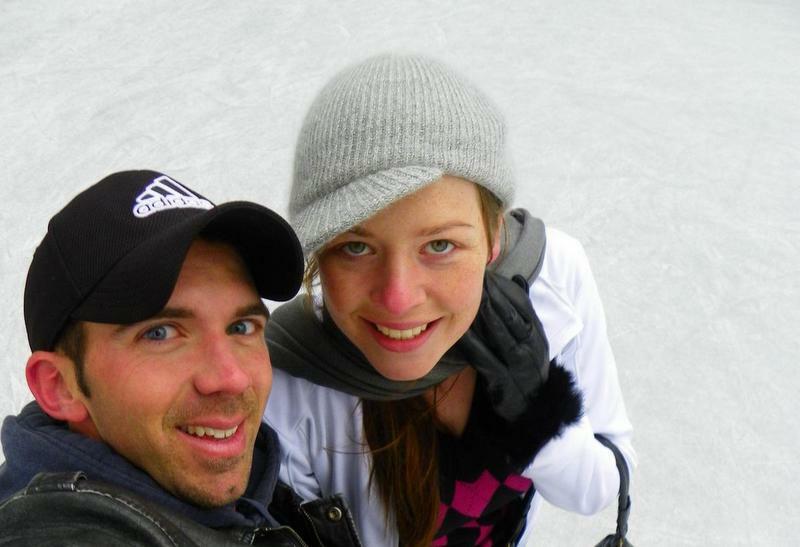 That we usually have the whole park to ourselves is the biggest part of the appeal :D So glad you enjoyed your time too!